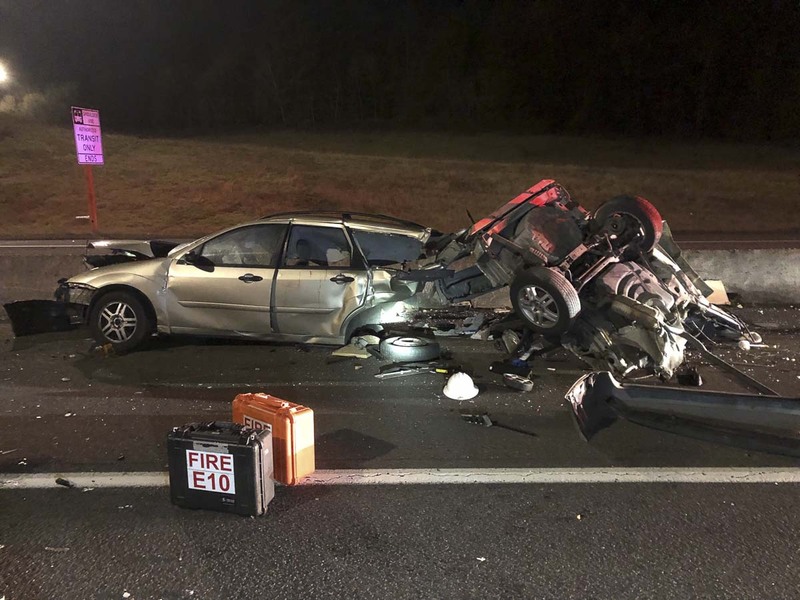 VANCOUVER — A wrong way driver on Highway 14 near the I-205 overpass collided with two other vehicles early Sunday morning. The accident occurred at about 6 a.m. Sunday when the wrong way driver in the West bound lane of Highway 14 collided with two vehicles. The wrong way driver then fled the scene on foot, but later returned to the scene and was transported by AMR with a Vancouver Fire Department paramedic to PeaceHealth Southwest Medical Center for evaluation and treatment. Drivers of the other two vehicles reported minor injuries to Vancouver Fire paramedics. The Washington State Patrol was on scene and is conducting an investigation. No other information was reported at this time.